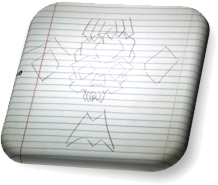 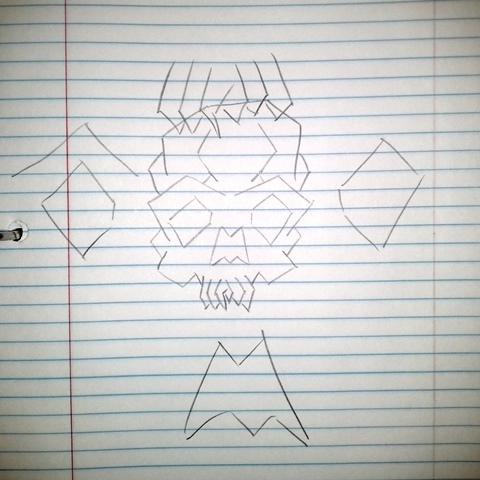 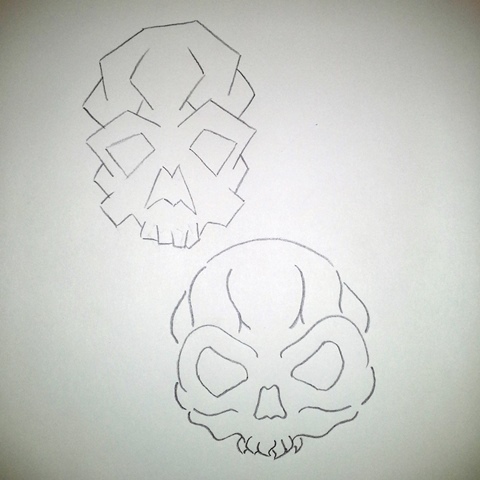 My first design began by sketching some skull concepts on notebook paper. 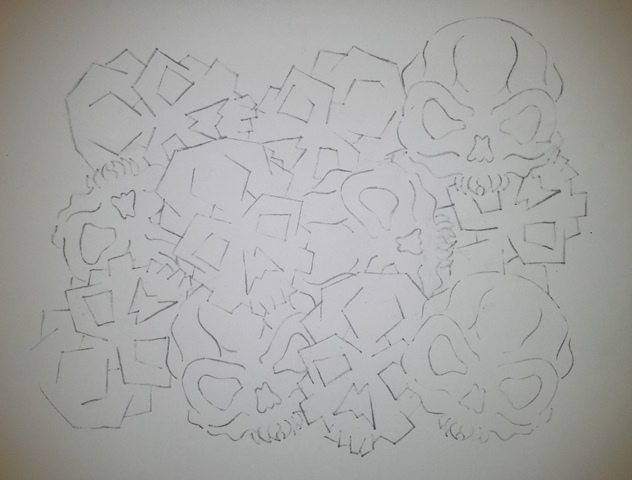 After deciding against my initial notions of having skulls within other skulls, I settled on two abstract models: one angular and the other curvaceous; both of which I drafted on sketch paper. 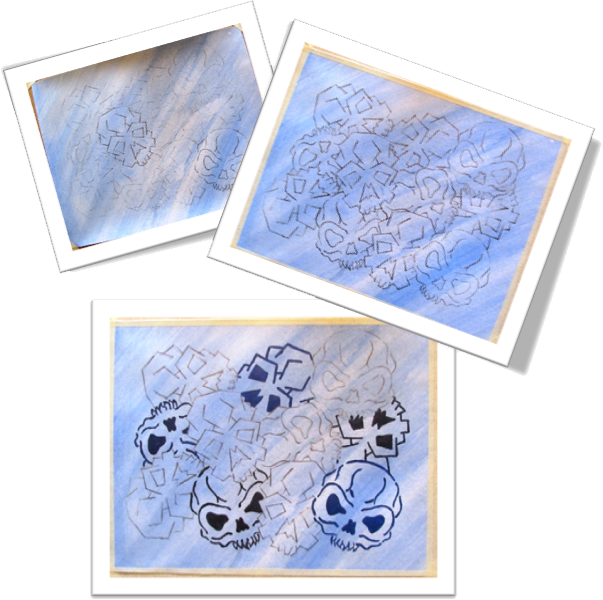 Once I decided on my two versions of skulls I used tracing paper to create a positive image which I transferred to Bristol board. 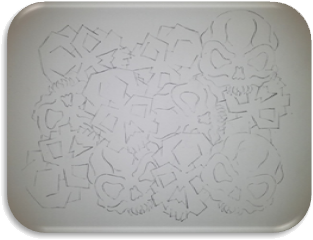 Simultaneously, I utilized the negative image to transfer alternative designs into my pattern; thus, I truly had four different variations of my skulls to incorporate into the overall composition. 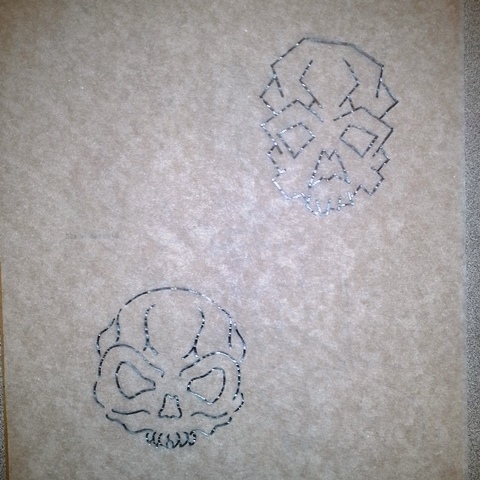 I also rotated each transfer to add movement and variety into my design. 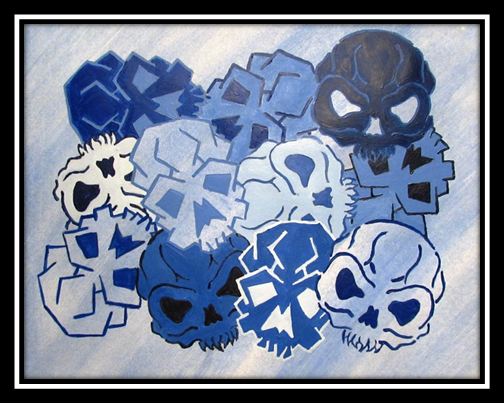 I started the colorization of my skulls by coating the background in a light blue acrylic wash. Of course, by transferring the design before painting the background meant that I needed to transfer my skulls again to ensure I could see where each was placed. 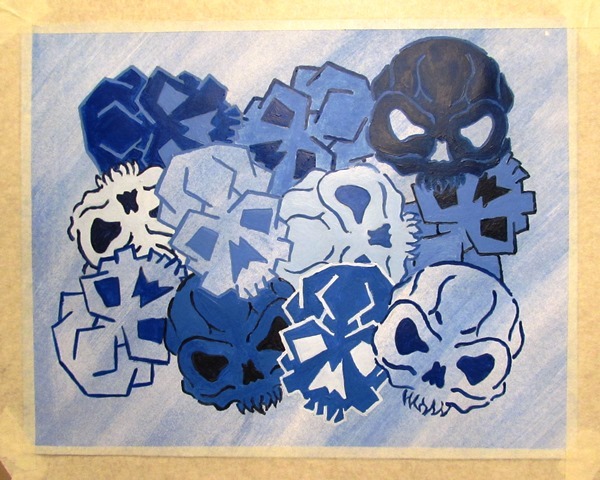 I began painting with a pure blue and darkened several shades to vary the initial outlines. 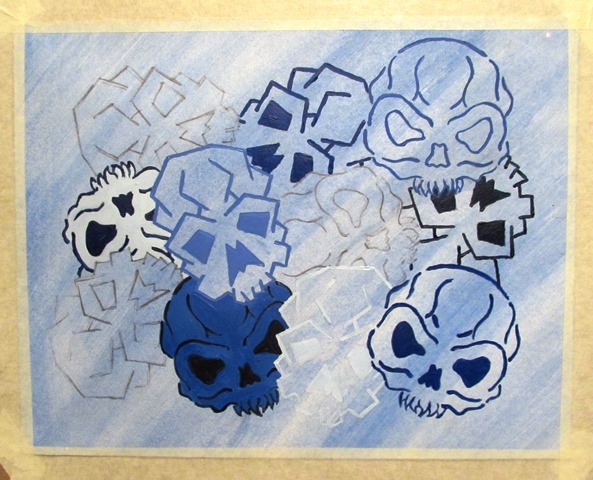 For some shades I mixed black into blue and for others I mixed blue and its compliment, orange. 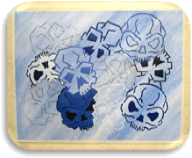 The next step was to outline some alternate skulls with several tints of blue. 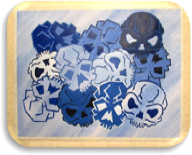 In addition, I filled a couple of the previously outlined skulls with these newly mixed tints. 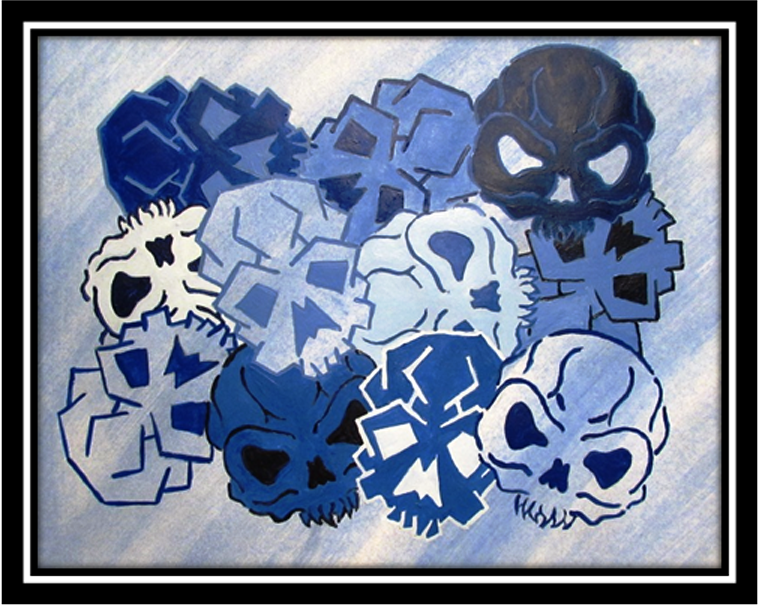 For each skull I outlined, I filled that skull’s eye sockets and nasal aperture with the same color, except in a couple specific instances: three skulls retained the backgrounds light blue wash – the central, top-most angular skull and the bottom-right and bottom-left skulls. 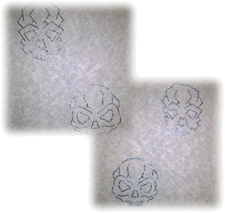 The top-right dark skull was the only skull in the composition with the background wash left in the eye sockets and nasal aperture. 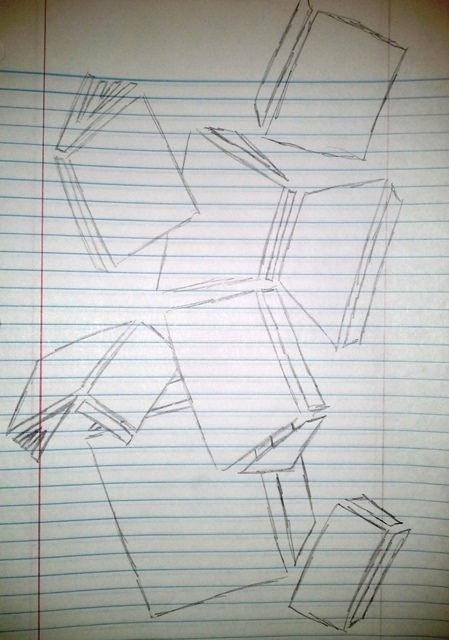 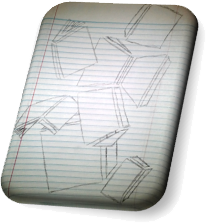 My second design was based on a simple pattern based on books scattered across a page of notebook paper. 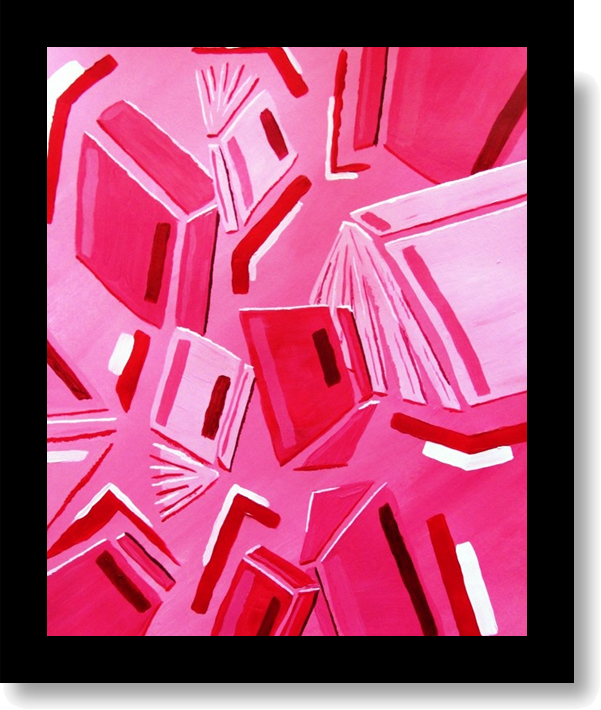 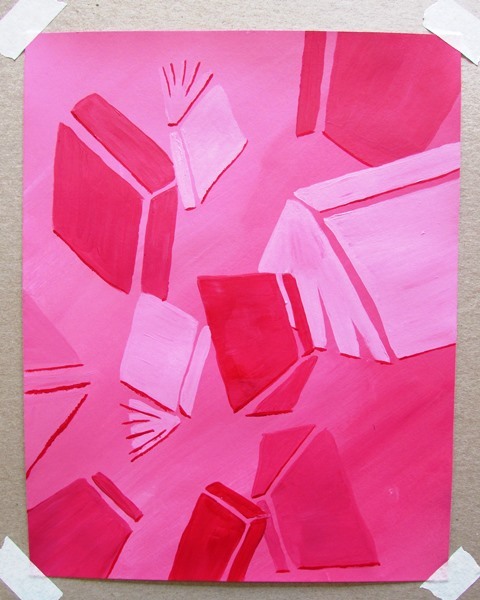 After adding a light pink background to my Bristol board, I began adding the base shapes that would represent each book. 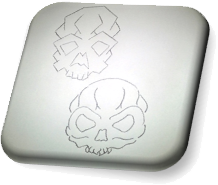 Adding a dark red edge to many of the shapes created definition and contrast to the pattern. 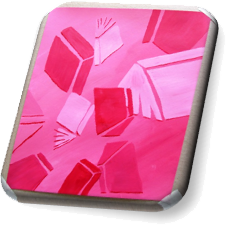 Next, I complimented the opposite side of many of the forms with a very light, almost white, pink that simulated an abstract light source. 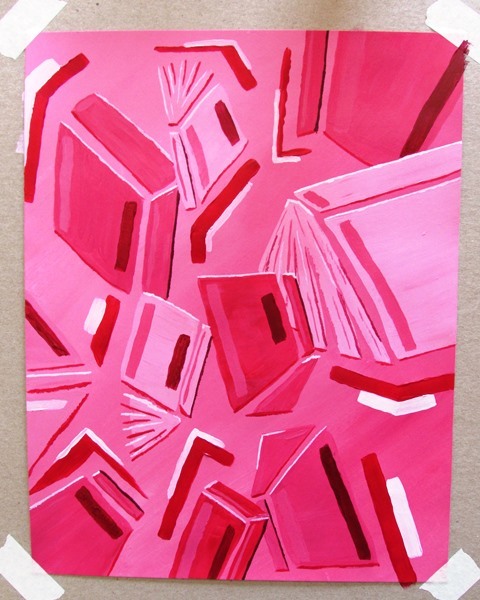 Several additional shades and tints were added in various placements within the composition, mostly within the larger book covers but also on the bindings and spines scattered around the image. 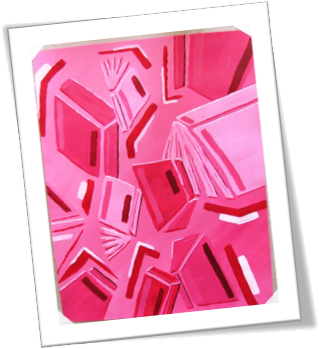 To complete the design, horizontal and vertical, seemingly random, shapes were positioned in strategic areas within the composition.